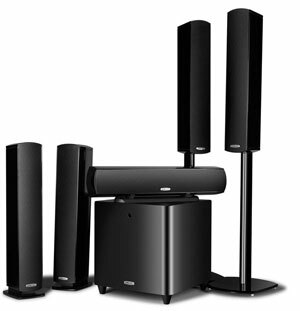 Audio & Video : Select Audio & Video Inc.
Why be confined to enjoying great sight and sound in just one room of your house? Select Audio & Video Inc. can design an audio system that gives you unparalleled control of your audio and video in every room you desire. The level of control and sophistication is up to you! With keypads, touch screens or remote controls in each room, a multi-room music system gives you access to all your favorite music, whether they’re stored on your iPod® or a digital music server. We’ll integrate your iPod® and iTunes® libraries so they become an integral part of your whole-house system. And you will not have to sacrifice sound quality either; today’s in-wall and on-wall speakers are capable of astonishing sound reproduction. Distributed video is becoming more popular as well. As flat-panel LCD and plasma sets are easily integrated into almost any space. With everything hooked up to one central system, you can start watching that movie you recorded in the den and finish it up in the bedroom. Your favorite video programming has never been more accessible or convenient. The kids can enjoy a movie in the theater room, while you send your favorite television show or music throughout the rest of the system in the house. A media server extends your reach to access all the music and Internet radio stations on your computer, and convenient remote controls, keypads or touch screens allow you to change stations, sources or even song selections from your own music collection or from subscription-based music services like Rhapsody. You're now just a click away from whatever you want to listen to or watch wherever and whenever you like.